QSEL is powered by music. Each lesson includes songs, jingle, chants, or musical stories to increase retention and encourage students to practice the important skills they are developing. 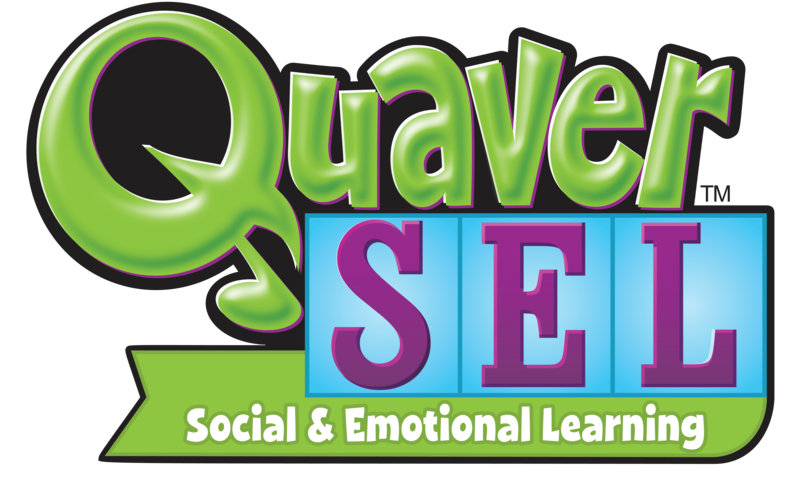 Songs are embedded in the curriculum, but can also be accessed from SEL Music, our interactive song resource library. 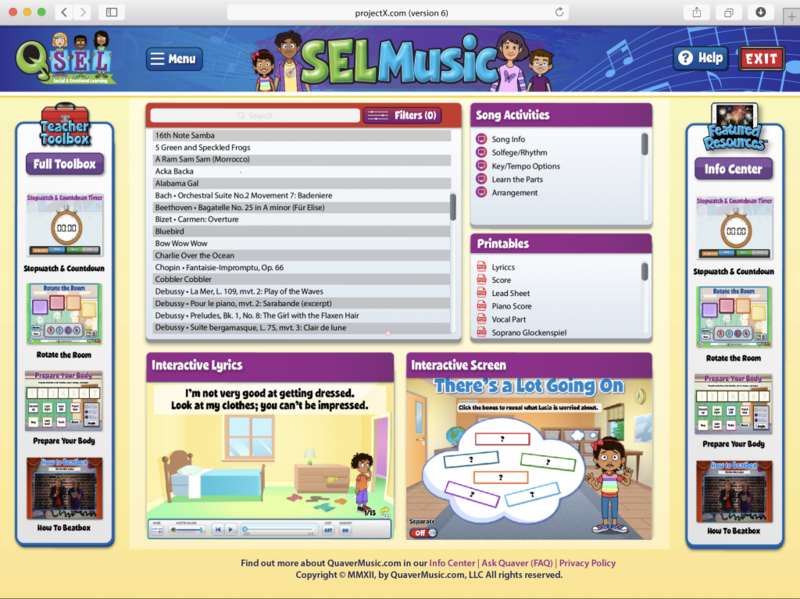 From SEL Music’s easy-to-use dashboard, teachers can find music-based content organized by song, CASEL competency, and more! Explore a sample of the original, popular, and themed songs you’ll find in QSEL below. Experience these songs and more with a 30-day free preview of QSEL in your classroom.